The Cowboys have allowed the fifth-fewest passing touchdowns (20) this season. They play the Giants in Week 17. The Cowboys have held their last three opponents under 222 passing yards. They play the Buccaneers in Week 16. The Cowboys have held their last five opponents to 23 or less points. They play the Colts in Week 15. The Cowboys have held their last four opponents below 80 rushing yards. They play the Eagles in Week 14. The Cowboys have notched eight sacks in the last three games. They play the Saints in Week 13. The Cowboys rank 28th in the league with four interceptions. They play the Redskins in Week 12. The Cowboys have allowed two 300-yard passers this season. They play the Falcons in Week 11. The Cowboys have forced two turnovers in three of their last four games. They play the Eagles in Week 10. The Cowboys have surrendered at least 300 passing yards in three of the last four games. They play the Titans in Week 9. The Cowboys have forced two turnovers (two interceptions, two fumbles) in both of their last two games. They'll play the Redskins in Week 7. LB Sean Lee is dealing with a strained hamstring ahead of the Cowboys' Week 6 game against the Jaguars. LB Sean Lee (hamstring) is expected to sit out Week 5 against the Texans. The Cowboys allowed 295 total yards and 24 points to the Seahawks in Week 3. They'll play the Lions in Week 4. Analysis: Detroit's passing game has been one of the best in the league, ranking eighth in the league with 294 yards per outing. The Cowboys are equipped to handle the heat, however, as they rank fourth in the league with just 182 passing yards allowed per contest, including allowing Seahawks QB Russell Wilson to just 192 yards in Week 3. The Cowboys defense has been solid keeping opponents to low numbers, but they've forced just two turnovers in three games, limiting their reach to deeper leagues. 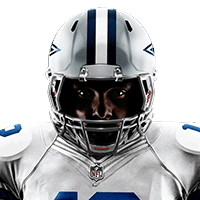 The Cowboys beat the Giants 20-13 in Week 2. They'll play the Seahawks in Week 3. CB Orlando Scandrick (back) has been ruled out for Sunday's game against the Eagles. Analysis: The Cowboys have five other defensive starters nursing injuries, which dampers their fantasy value even if the Eagles elect to rest offensive starters. Dallas got lit up for 37 points by the Eagles earlier this season, but that was with a healthy Carson Wentz (knee). With the possibility of run stoppers like Sean Lee (back) being ruled out, there just isn't much of an upside to starting Dallas D/ST, especially since QB Nick Foles has turned the ball over just once this season. DT David Irving (concussion) will sit out of Sunday's game against the Seahawks. Defensive tackles David Irving (concussion) and Maliek Collins (foot) are battling injuries ahead of Sunday's game against the Raiders. DT David Irving is in concussion protocol, while LB Sean Lee (hamstring) is expected to play Sunday against the Giants. LB Sean Lee (hamstring) is listed as out for Thursday's game against the Redskins. LB Sean Lee (hamstring) has been ruled out for Thursday's game against the Chargers. LB Sean Lee (hamstring) is expected to miss Sunday night's game against the Eagles. Maliek Collins is dealing with a foot injury ahead of Sunday's contest against the Falcons. 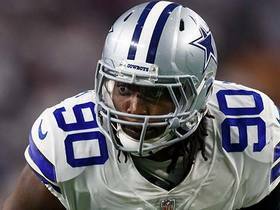 DE DeMarcus Lawrence (calf) is expected to play Sunday against the Chiefs. 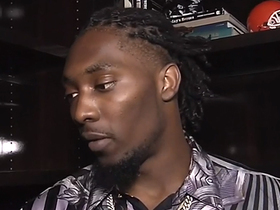 NFL Network's Jane Slater catches up with Dallas Cowboys defensive end DeMarcus Lawrence to talk about his recent contract extension. Dallas Cowboys defensive end DeMarcus Lawrence addresses the media about his 5-year, $105-million contract extension. 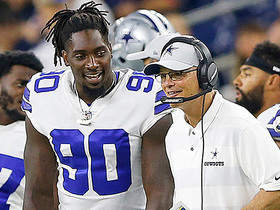 Former NFL head coach Jack Del Rio discusses Dallas Cowboys defensive end DeMarcus Lawrence's contract extension. 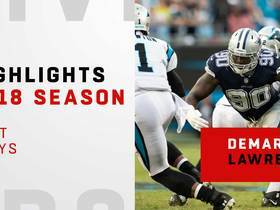 Watch Dallas Cowboys defensive end DeMarcus Lawrence's best plays in the 2018 season. 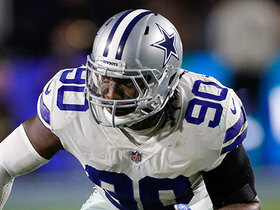 NFL Network Insider Ian Rapoport reports the latest on defensive end DeMarcus Lawrence's new contract with the Dallas Cowboys. 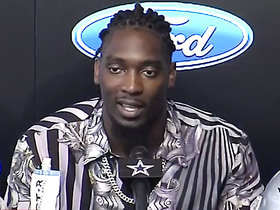 NFL Network's Mike Garafolo and NFL Network Insider Ian Rapoport report the latest on contract negotiations between the Dallas Cowboys and defensive end DeMarcus Lawrence. 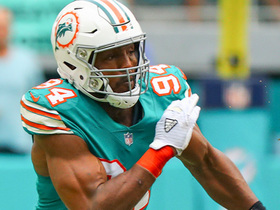 NFL Network's Charley Casserly discusses what defensive end Robert Quinn adds to the Dallas Cowboys and how much DeMarcus Lawrence is worth. 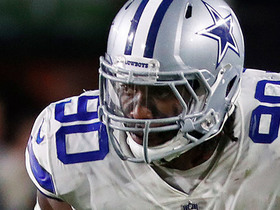 NFL Network Insider Ian Rapoport has the latest on contract negotiations between the Dallas Cowboys and defensive end DeMarcus Lawrence. 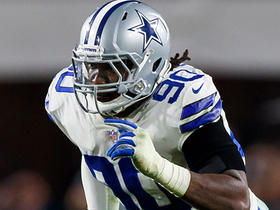 NFL Network Insider Ian Rapoport discusses the ongoing contract offer between the Dallas Cowboys and their defensive end DeMarcus Lawrence. 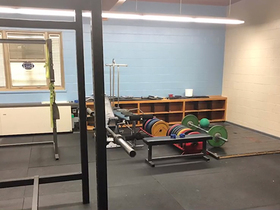 Dallas Cowboys linebacker Leighton Vander Esch donates to his former high school to renovate their weight room.